The location is the outer Stockholm archipelago. Tall pines give the forested site an untouched character. 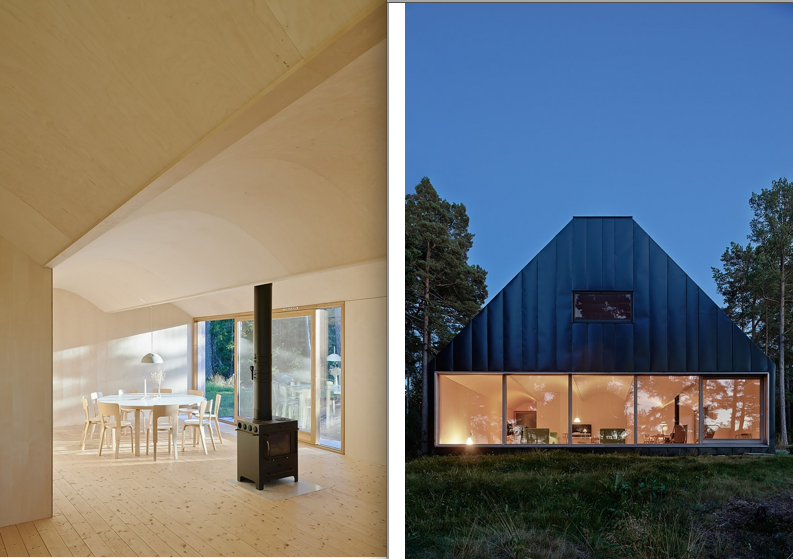 The house is placed in a clearing with a high position in the landscape, on a plateau facing the sea in the north. The property has been in the family for a long time with a couple of small complementary buildings, a boathouse and a guesthouse, that has been used for vacation stays. As the family grew with a new generation, the need for a larger house with more space followed. 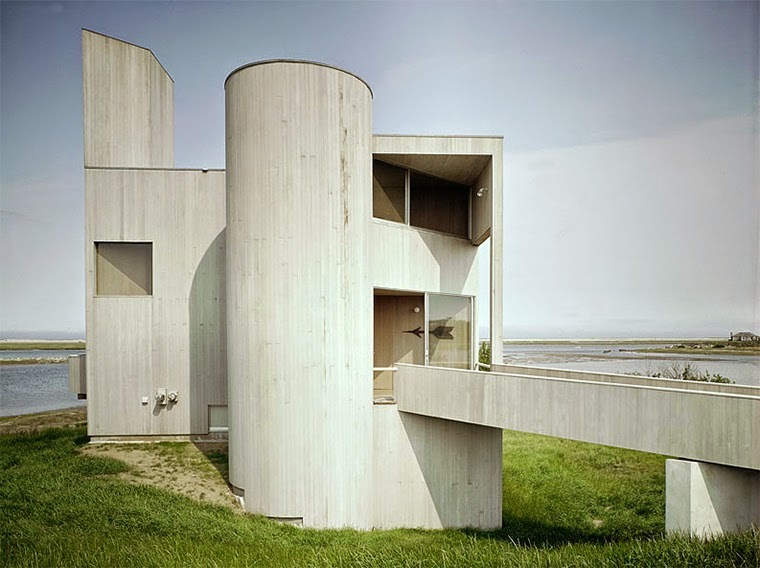 The light conditions, the sea view and the flat and smooth bedrock were some of the qualities that constituted the starting point for the house. A relatively low budget also influenced the design, resulting in the idea to use tectonic rationality to support a specific spatial structure. The house, a pitched roof volume in two levels, is divided into an open social area at ground floor and a more private upper level, with bedrooms and a playroom. Within the square plan, a freestanding box holding kitchen, bathroom and the stair, organizes the ground floor into a sequence of interconnected spaces. Large sliding windows open up to the views in all directions and allow the sunlight to fill the interior. On the upper level a skylight that runs along the ridge of the roof underscores the verticality of space and subtly enhances the experience of seclusion. 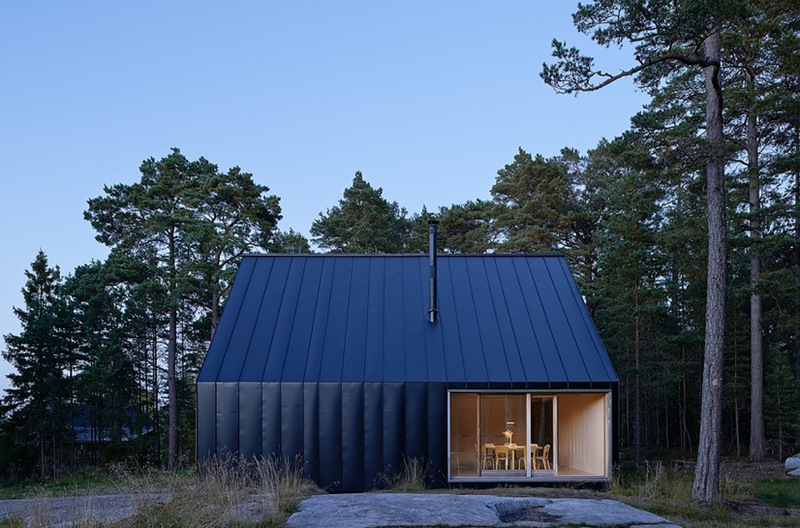 The exterior is entirely clad with folded black sheet metal of varied widths that integrate the position of the windows. Three glazed sliding doors with frames of hard wood provide entrances and direct access to the outdoor areas on the naturally flat part of the bedrock. All construction and finishes are made out of wood. The open plan is made possible with glulam wooden beams. Between these beams plywood sheets has been bent to form a series of vaults that add direction to the interior spaces. 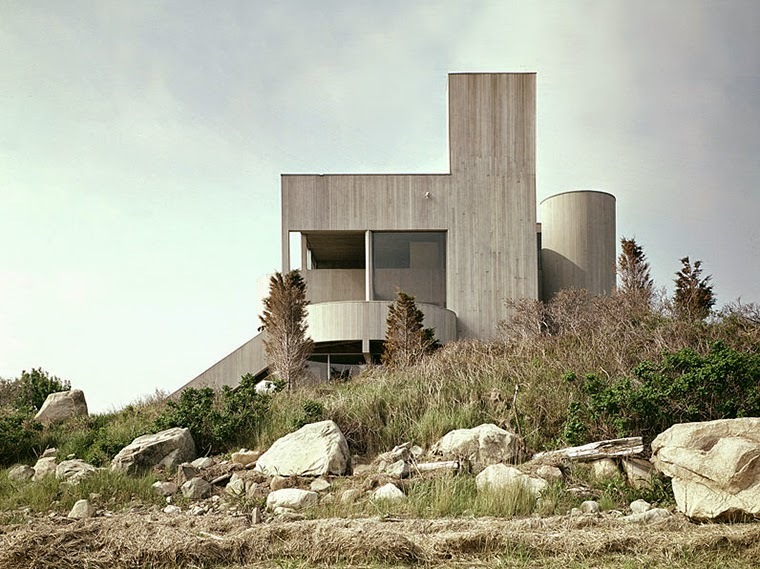 Depending on where you stand, the Fagan’s self-built home ‘Die Es’ has a mountain or seaside backdrop. 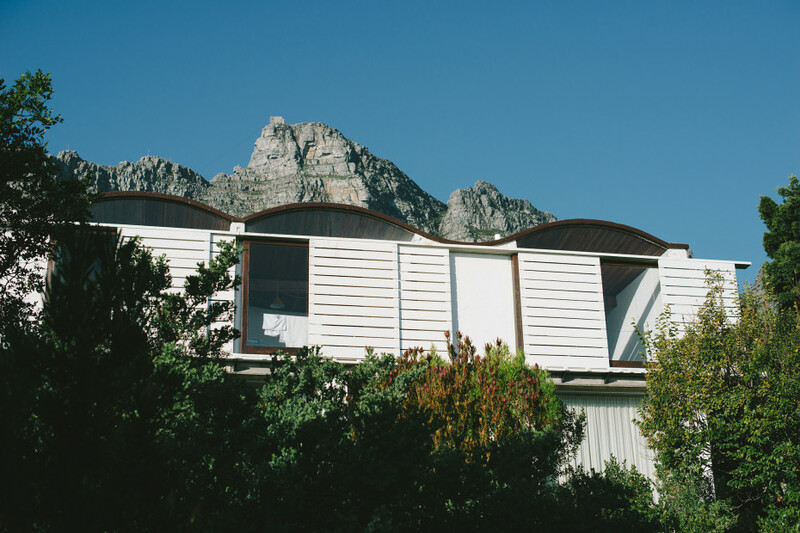 ‘Die Es’ – meaning ‘the hearth’ – is situated on the Atlantic Seaboard in Camps Bay, but it feels more like it’s on a little farm with its own private nature reserve. The house itself and most things in it are handmade by couple Gwen and Gawie Fagan, their son and three daughters. Today it’s just the two of them living here. It’s a magical place with magical people who have lived long and full lives. Sitting around a table with Gwen and Gawie drinking a hot cup of Rooibos tea, we listen to a collection of stories experienced over almost a century. They speak about a career spanning almost 70 years, hard work and successes, and 65 years of marriage and family life. 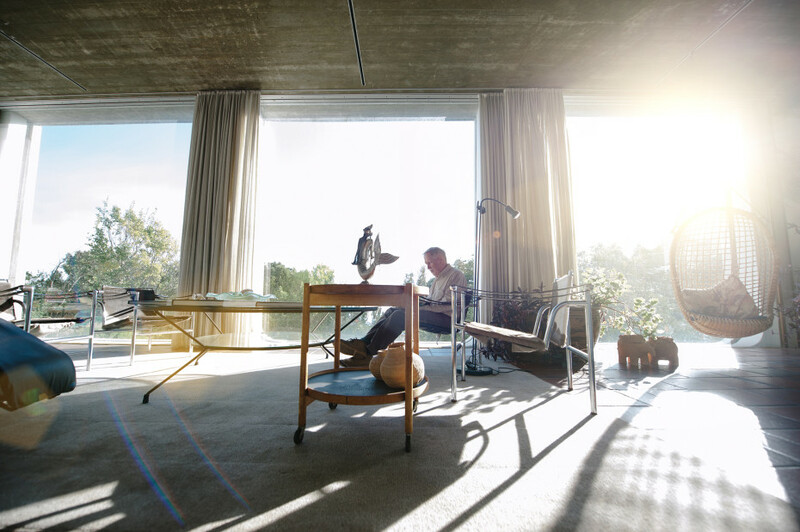 As one of South Africa’s most celebrated architects, Gawie’s ideas concerning connecting architecture with the natural landscape were revolutionary. Over the years, Gwen played an instrumental role as a historical researcher and landscape planner in Gawie’s practice. 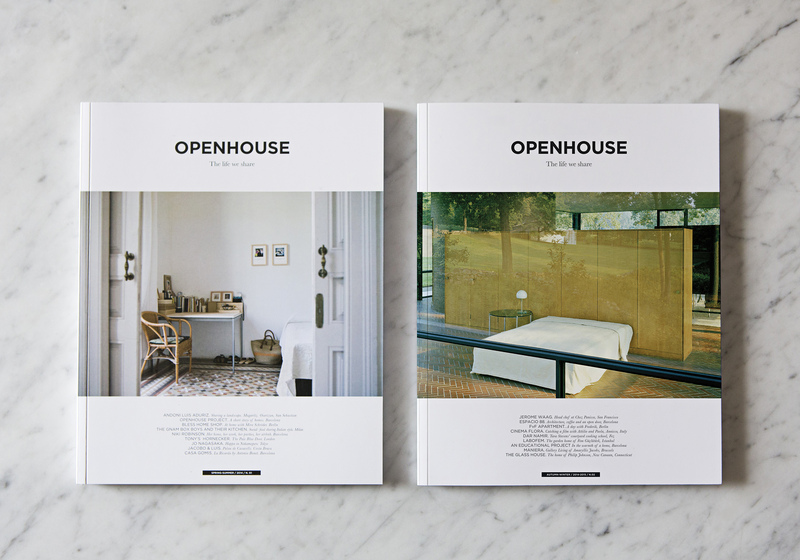 Together they share a love of designing new buildings just as much as restoring old ones. 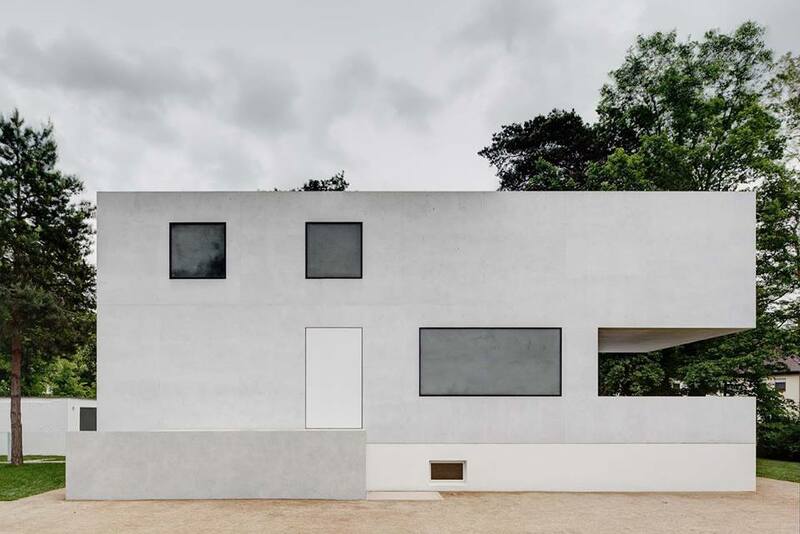 The two destroyed buildings of the original Walter Gropius-designed Bauhaus site, House Gropius and House Moholy-Nagy, have been recreated – well, sort of. 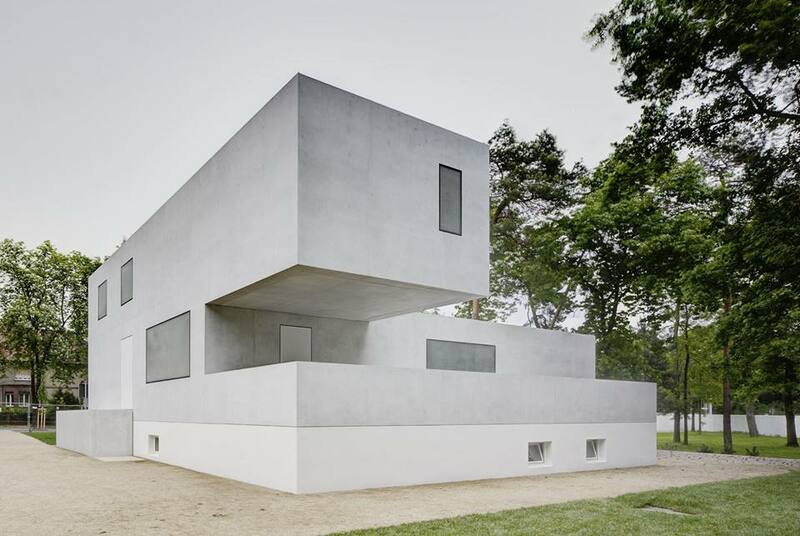 Florian Heilmeyer explores the complicated, contested history and issues around the reconstruction…or rather recreation…or better still, reinterpretion of two iconic architectural ghosts from the past. 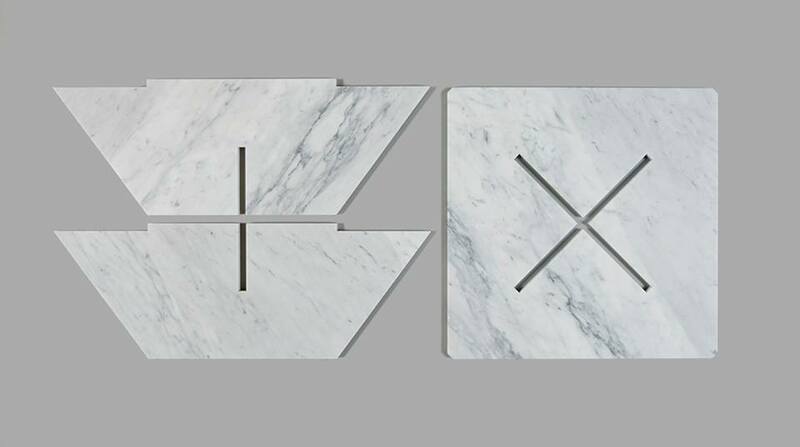 I think I have never seen a design so perfect and so simple. 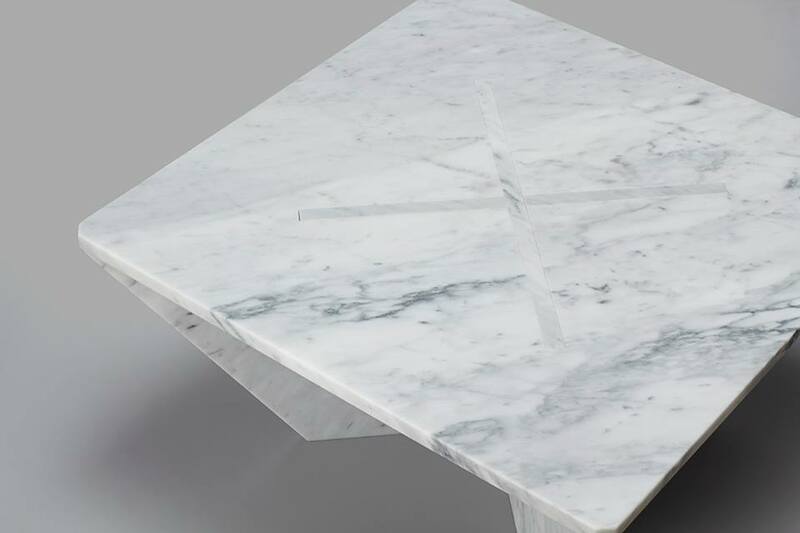 Using only gravity to keep it together, the Annex Table designed by Joe Doucet is a signed and numbered edition commissioned by the Cooper-Hewitt National Design Museum.